We're starting a new weekly feature on Royal Caribbean Blog called "Friday Photos", where each Friday we will feature photos from the Royal Caribbean vacations of our readers. We asked for submissions earlier this week and you can always send us your photos for future blog posts. We'd love to feature photos of the ships, excursions, activities onboard and anything else that reminds you of a great time while sailing with Royal Caribbean. Let's go to this week's photos and we've got some great ones to kickstart this feature. 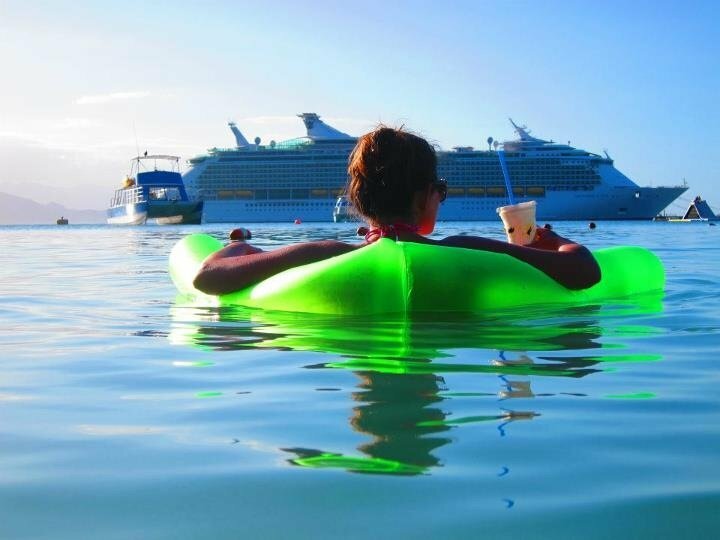 Our first photo is from Jeff Robertson and he describes it as, "This is my girlfriend Sarah drinking a labadoozie and floating in front of The Freedom of the Seas". Looks perfect! Next up is Susan Cavalieri, who sent in this picture from the Concierge beach on CocoCay. According to her, it's "possibly the most beautiful beach I've ever spent time on". 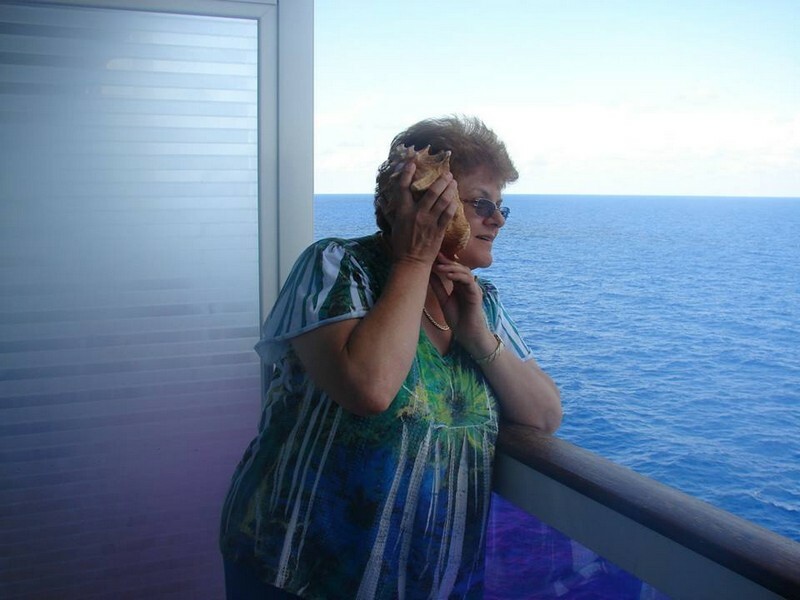 This photo is from Dawn Lytten, who is taking a page from Royal Caribbean's last marketing campaign by saying, "I'm the one who answered to the sea calling." Next up is from KateSMUA (a name only a mother could love) and says, "check out this pic of me & my friend on the amazing horse riding trip in Falmouth!". 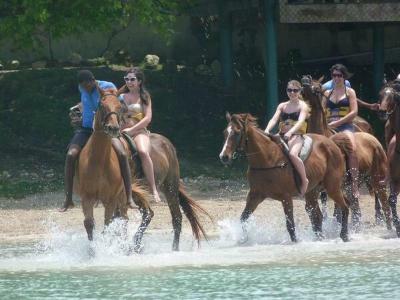 I really don't think riding a horse on the beach ever gets old. 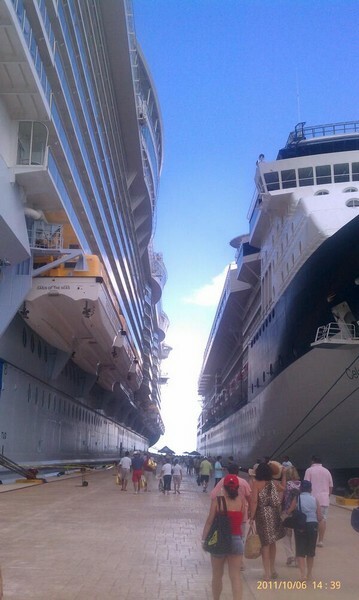 This photo is from Harry Yerikyan and I love seeing the scale of these massive cruise ships. In this case, it's Oasis of the Seas on the left and a Celebrity Cruise ship next door. Patricia Hall sent us this photo of Freedom of the Seas in the Caribbean. Hard to tell which is more beautiful: the ship or the water color! Last but not least, Daniel Stober sent in this photo taken from an aft balcony looking out. Sometimes there's no beating enjoying the view from your balcony and taking it all in.